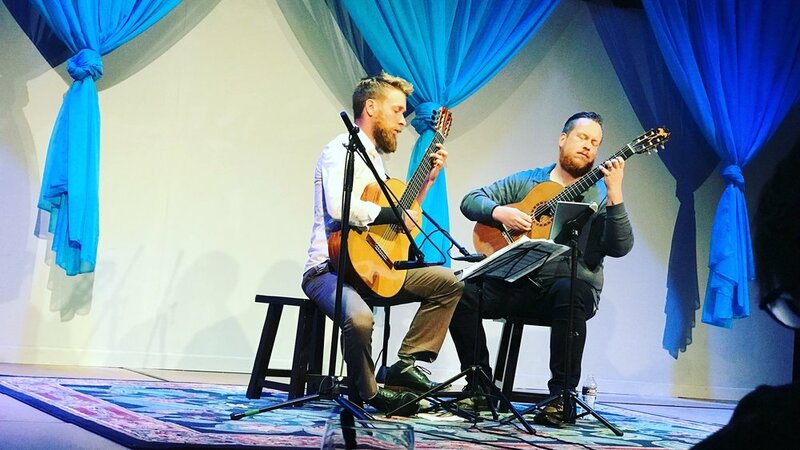 Brett has been teaching guitar lessons for over 20 years and currently teaches local and online guitar lessons in his personal studio in Columbia, South Carolina. Brett's former students have received degrees in music from the University of South Carolina, Indiana University, Peabody at John Hopkins, Shenandoah Conservatory, San Francisco Conservatory of Music and others. Former students have also become successful music teachers, had successful touring bands and have even opened for the legendary blues guitarist B.B. King. For information on Online or local lessons, rates and availability please contact Brett by filling out the contact form below. NEWS :: New 2018-2019 Concert dates!